Be inspired by spring and summer 2016 hairstyles for medium length hair. Gallery 50 hairstyles for long hair will tell you what you can conjure with your hair. We just love long hair and medium length hairstyles and many of us consider this hair length as ideal. The maintenance is easier than with long hair. Medium length hair looks more feminine than short hair, in comparison with long again half-length hairstyle looks much tidy. 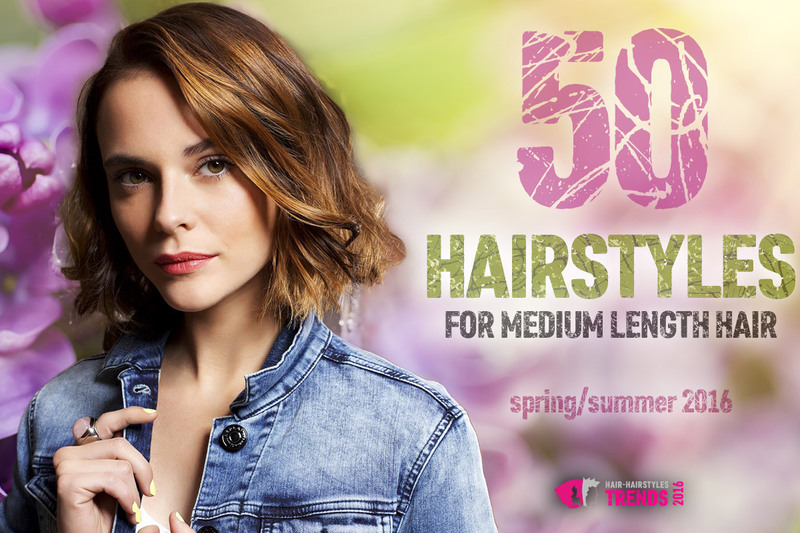 Come and see 50 hairstyles for medium lenght hair that I have selected for you as tips for this spring and summer 2016. Surely they are just the basic inspiration, because with the hair at this length you can really do magic. Usually you can tie it together, it looks great with headband and it seven under spring or summer fashion caps or hats. Look at 50 tips for spring and summer hairstyles 2016 for medium lenght hair from collection of world-known hairdressers. 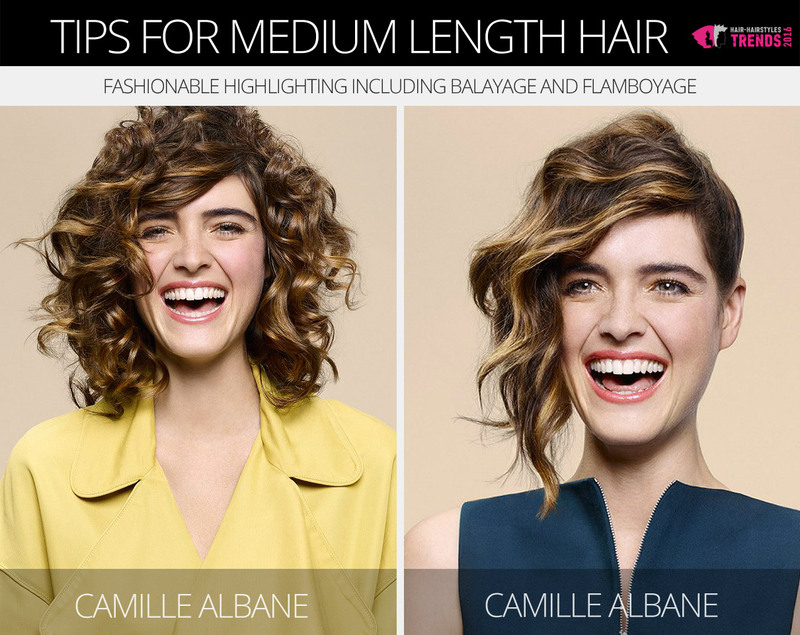 The biggest hit for medium lenght hair is lob. There is a gallery with 50 hairstyles for long hair for this spring and summer 2016 and which presents options for various lob – flat and choppy, with or without bangs, natural shades or in a striking color. Hairstyle lob as such is actually longer bob reaching shoulders around. One could say that this is the last phase of the shorter, this time medium long hair and long hair. The rippling form is called a wob. 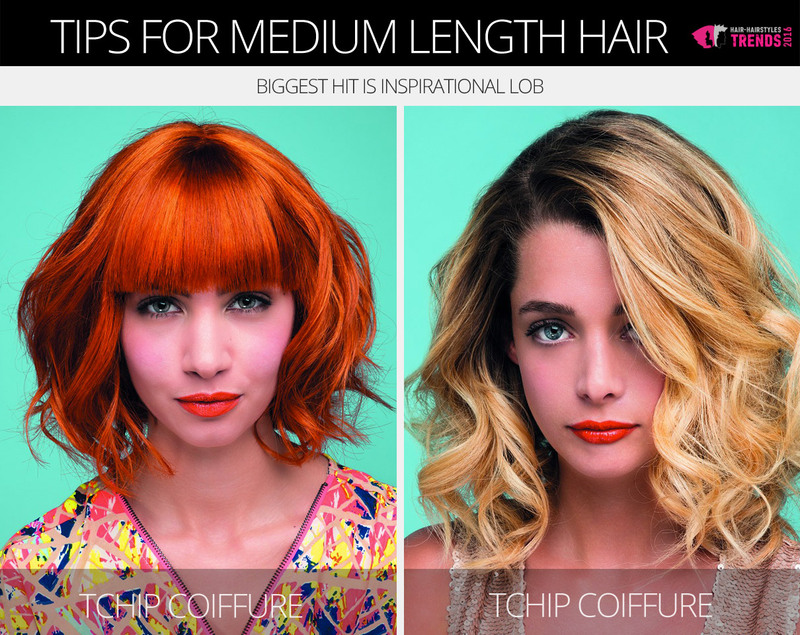 Medium lenght hair for spring and summer 2016 like inspirational lob from collection Tchip Coiffure. The medium lenght hair looks good with trendy highlights, including the most popular today, such as balayage or flamboyage. They suit perfectly for the optical volume of your hair and also as a help in forming the shape of the face using the play of light and shadow. Trendy highlights suit medium lenght hair. 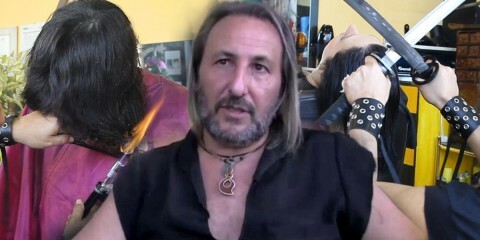 It doesn’t miss in collection of hairdressers for this year spring and summer 2016. Colour hit for medium lenght hair is above all pink hair, both in shades of colours of the year 2016 Rose Quartz, but also in a deeper shades. It is used mostly for recovery blonde hairstyles. Better than area-wide, just as gentle pink highlights. 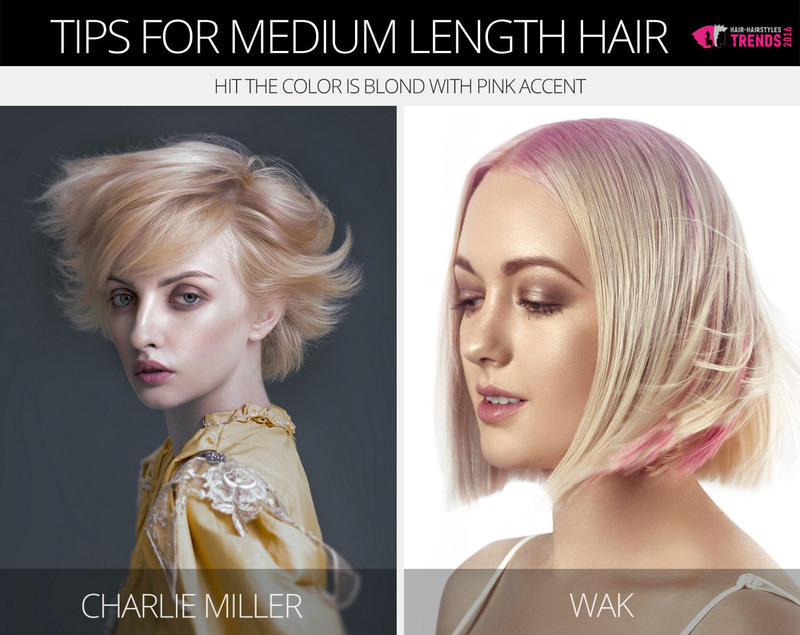 Give your blond hair the pink accent. The colour of the year 2016 is also pink – colour of the Rose Quartz. Hairstyles are from collections of Wak and Charlie Miller. And finally, I come back to fringe once again. Same hair cut with a different length of fringe including its styling and finish, it will create a completely different hairstyle. 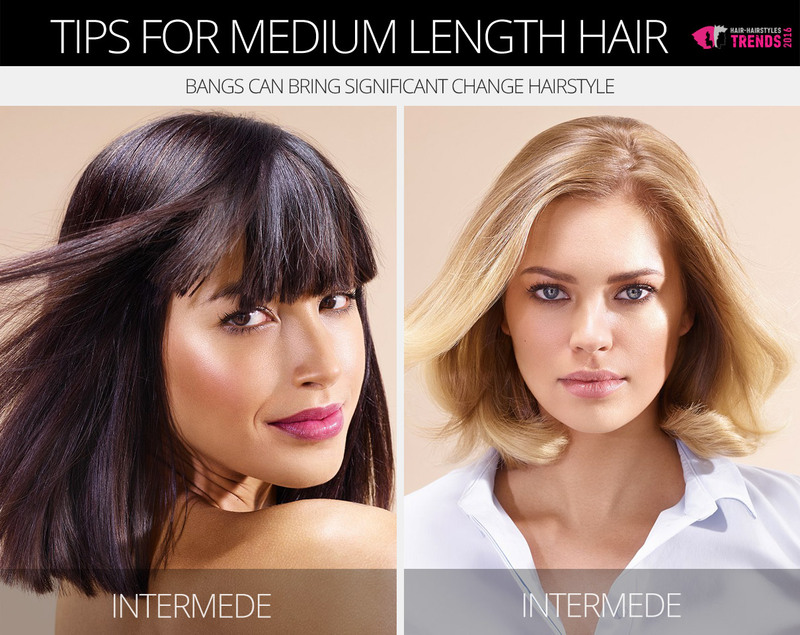 Remember that the fringe can be both – very short and very long. And of course also in medium length. 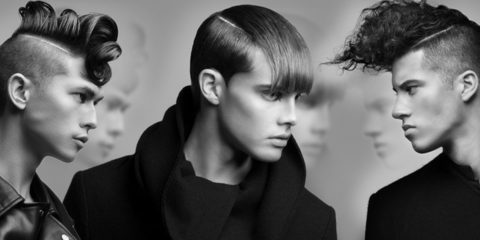 Left, right, straight combed – with certain fringe looks similar hair cut vry differently. Look at the 50 hairstyles for medium lenght hair and let be convinced. You will find a lot of examples in the gallery. 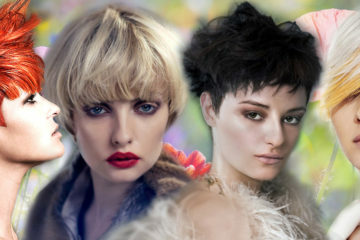 Change the look of your medium lenght hair cut with lenght and form of your fringe. You’ll see how distinctive change of the hairstyle can be made.